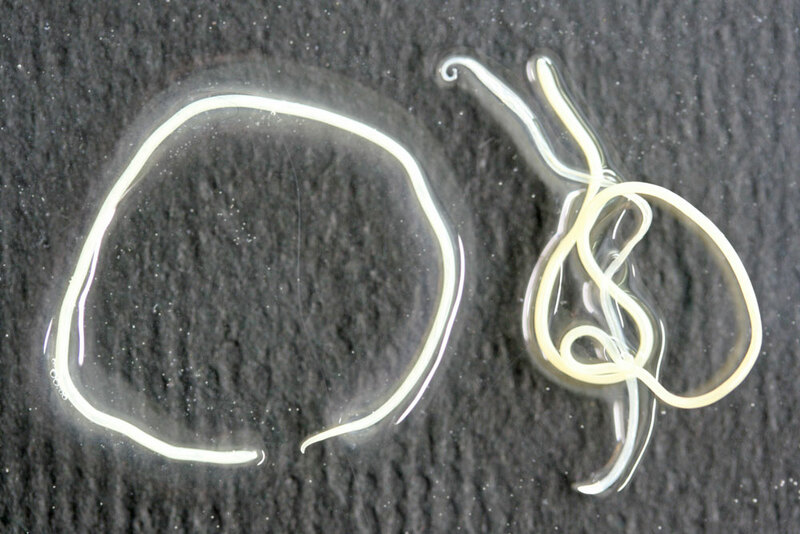 The infectious agent is Onchocerca volvulus, a filarial tissue-dwelling nematode worm, found predominantly in the skin and the eye. Onchocerciasis is endemic in tropical Africa and parts of southern America. Following the bite of an infected female black fly (Simulium spp. ), a non-fatal filarial disease develops. 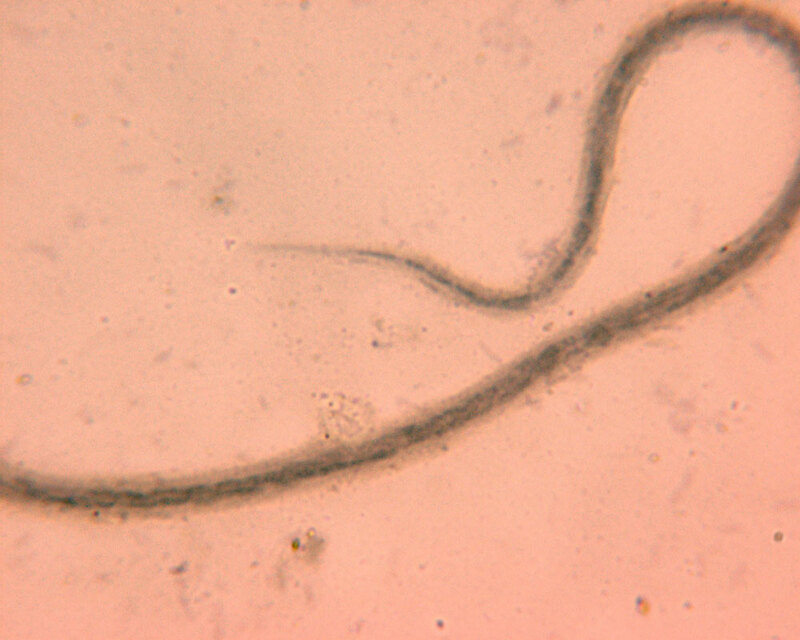 Fibrous nodules are formed around developing adult worms (female worms reach a length of up to 50 cm) in the subcutaneous tissues, especially of the head and shoulders (America) or the pelvic girdle and lower limbs (Africa). Female worms are viviparous: microfilariae (300 µm long) are mainly found in intercellular spaces in the dermis and in the eye chambers. When black flies feed on an infected patient, microfilariae are taken up with the blood meal (pool feeders). They have to escape blood digestion in the vector by invading the body cavity of the insect. Within flight muscle fibres, they develop to third-stage (infectious) larvae which leave the insect actively during the next blood meal.